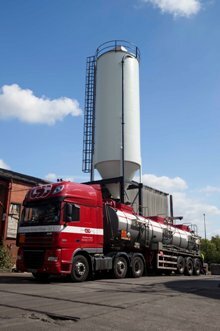 Cleansing Service Group (CSG), a leading UK provider of Total Waste Management (TWM) services, is displaying its expertise on Stand H32, Hall 1, at The Facilities Show (NEC, Birmingham, 17-19 May 2011. Acclaimed within its own industry for the way it has pioneered technologies and processes in which the TWM service it provides is carried out primarily with the environment as the priority, CSG is confident it can illustrate that, implemented correctly, many industries can minimise the amount of waste generated thereby enabling soaring landfill costs to be reduced. One of the UK waste industry’s fastest growing companies, CSG is strongly motivated by the goal of diverting waste from landfill, and preserving valuable raw materials by recovering and recycling as many as possible of the constituent parts of the waste it treats. The company has gained a reputation as a pioneer in creative research and development with an on-going research programme that has led to a catalogue of innovative waste management recycling and reuse technologies. Visitors to the stand will be able to talk through all aspects of Total Waste Management with CSG experts.